Welcome back to another all new edition of Saturday Night Movie Sleepovers! To celebrate the return of The X-Files to the small screen, J. Blake and Dion Baia decided to go back and cover a film and character that is very close to both their hearts, which has been also cited by Mulder and Scully creator Chris Carter as a direct inspiration for his show. 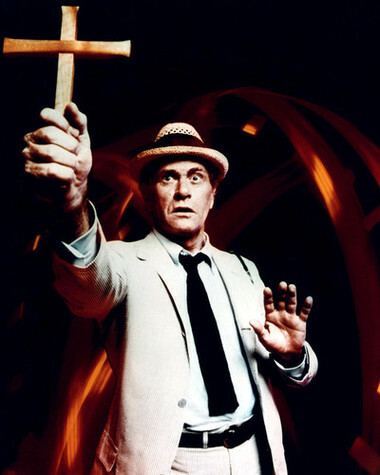 If you haven’t already guessed, this week the fellas are talking about the ground-breaking TV movie The Night Stalker, from 1972 starring the great Darren McGavin as the iconic Carl Kolchak. 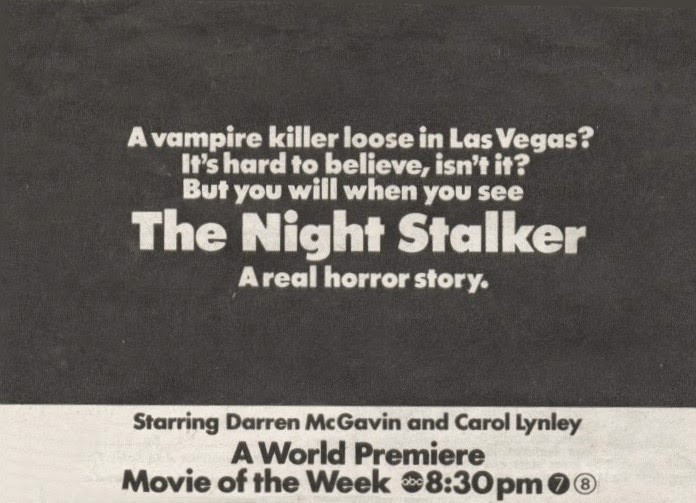 The boys setup the podcast by giving a little backstory about the ‘TV movie” or as it was called, the “Movie of the Week“, adding some context on how popular the format was and continues to be; and the astounding precedent The Night Stalker achieved by becoming the highest viewed TV film up until that time. Dion and Blake discuss all things Kolchak and shamelessly gush about their love for Darren McGavin and the amazing character he helped bring to the screen. They also explain the story about how an unpublished manuscript by Jeff Rice was taken and adapted by legendary writer Richard Matheson and turned into the highest rated tv movie up until January 11th, 1972. 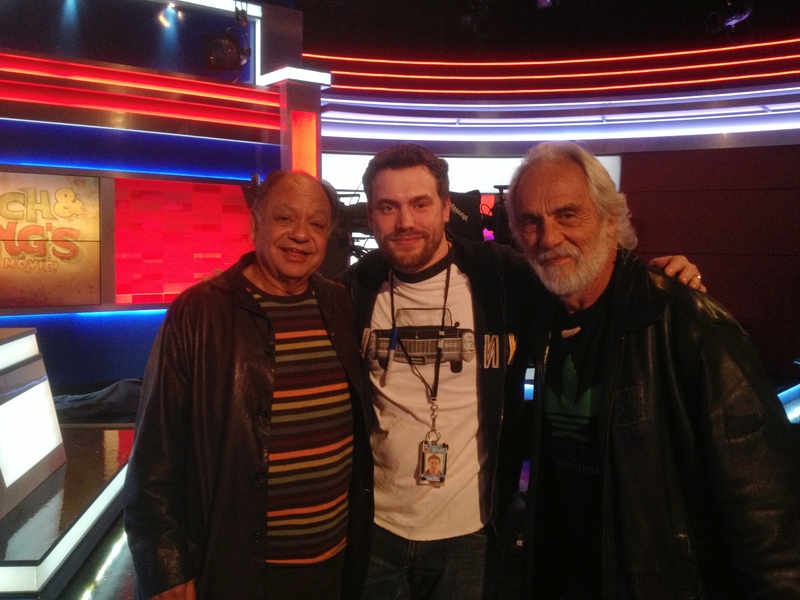 So, what was it about this story that was so popular for audiences? 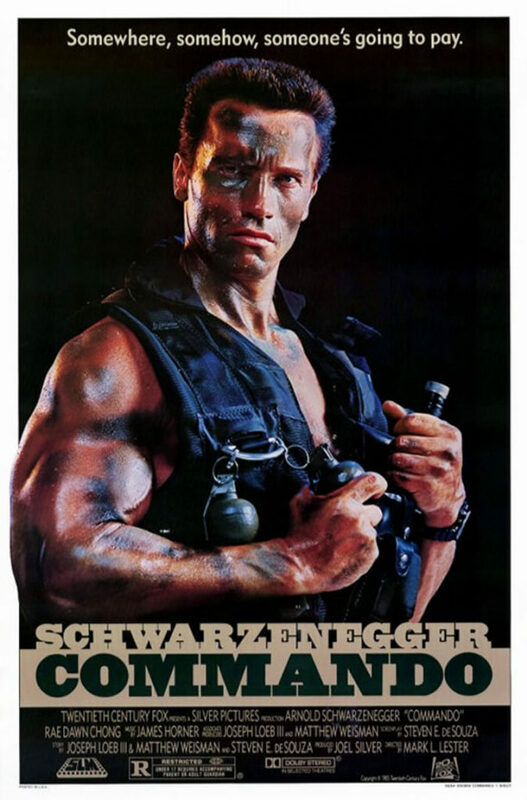 How does the film hold up more than 44 years later? What occured that made McGavin become so disenchanted with the 1974 TV series, which eventually got cancelled after only one season? 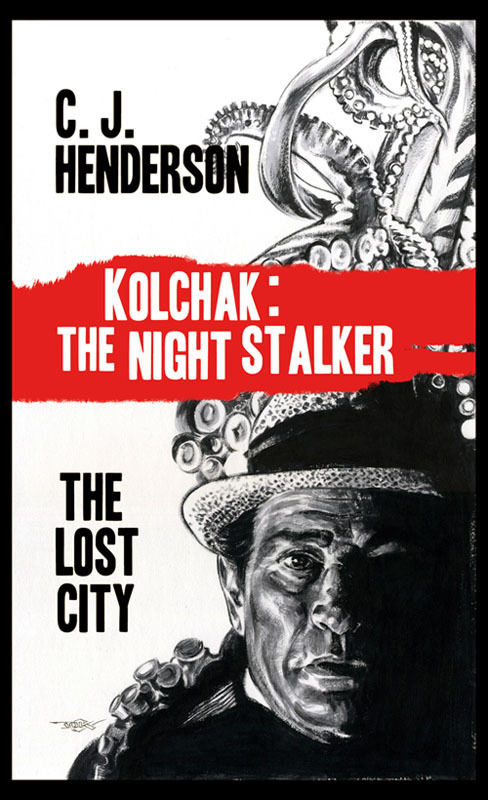 What has become the legacy of Kolchak the Night Stalker? And what was the flub during the podcast that practically stopped the recording in it’s tracks, and turned the lads into two laughing school girls? Well all those juicy questions will be answered on this awesome and exciting all new episode of Saturday Night Movie Sleepovers! Check out this great and VERY interesting page on the official Darren McGavin and wife Kathie Browne McGavin‘s website about Kolchak the Night Stalker, giving a timeline for the series and the actor’s direct perceptive during the project, along with very candid interviews about the show. Here’s another link to the McGavin/Browne website, showing the unproduced Kolchak scripts, including what was to be the third film, The Night Killers. 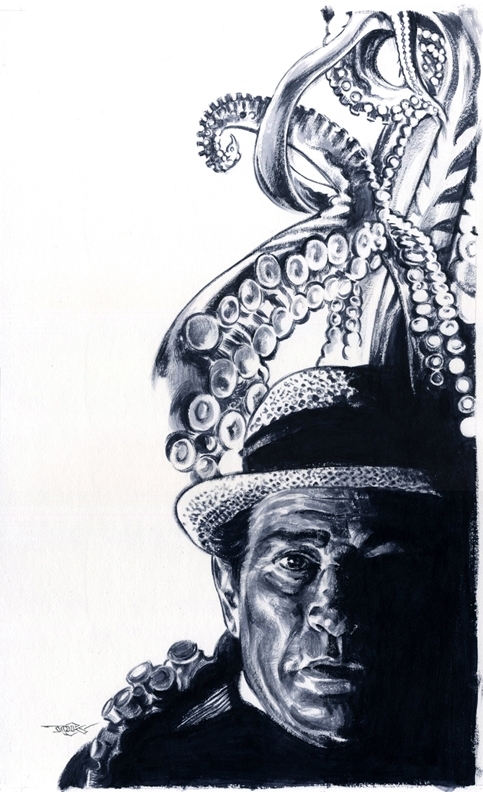 EXCLUSIVE: Straight out of the SNMS Archive, check out this original art by Douglas Klauba for the C. J. Henderson Kolchak novel, The Lost City. Here is the finished product, as it looks with it’s titles. 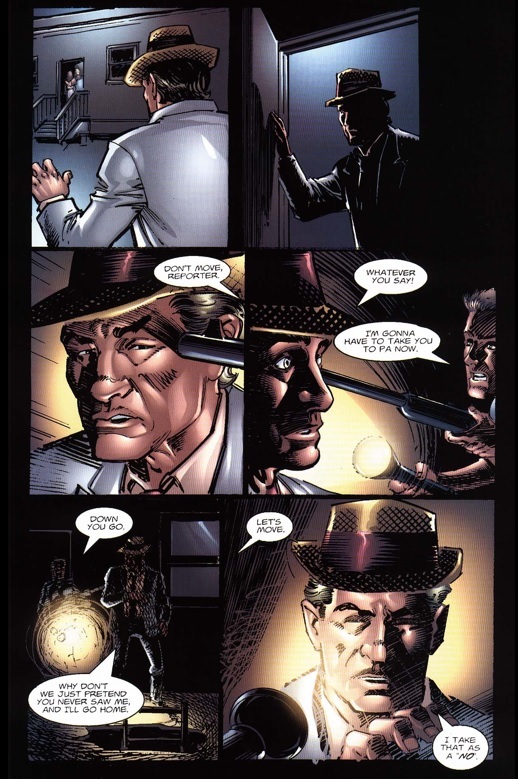 EXCLUSIVE: Another work of art right out of the SNMS Archive, take a look at this original comic book page #38 from issue #2 of the 2002 run of the Kolchak comic book series, entitled Get of Belial. 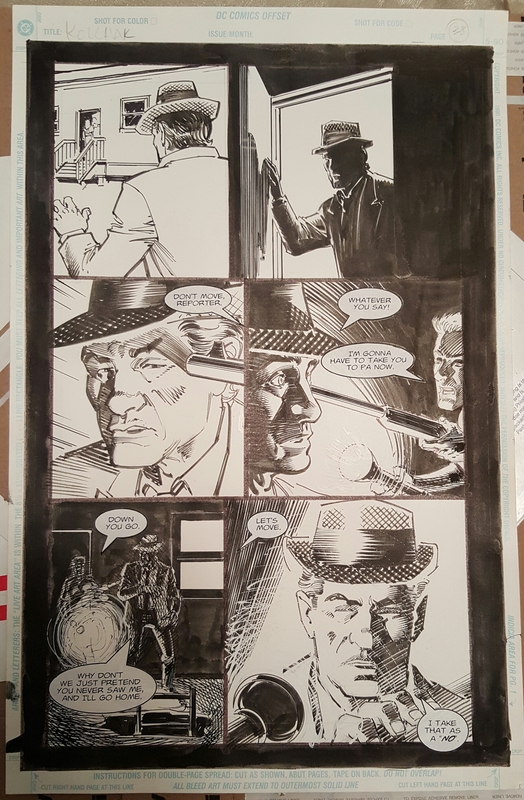 Here is the finished page as it looked. 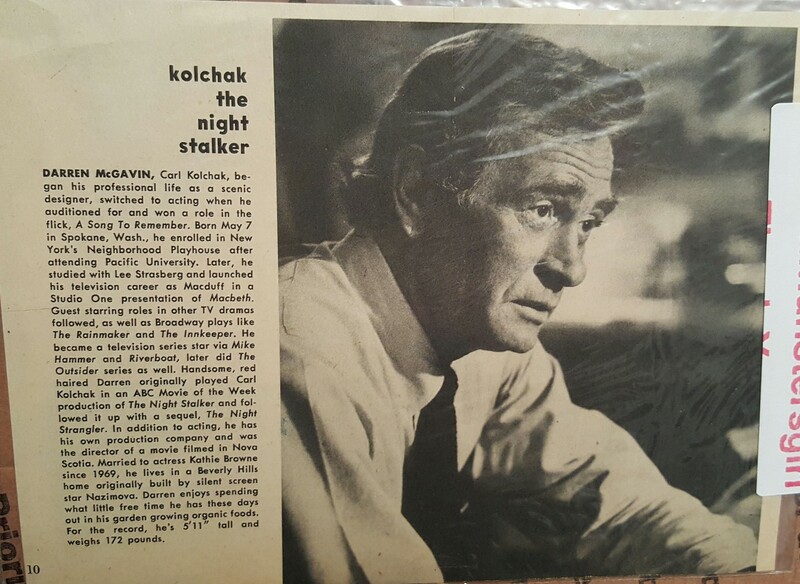 EXCLUSIVE: Another out of the SNMS Archive, this original newspaper advertisement for Darren McGavin starring in the brand new 1974 Kolchak The Night Stalker television series. Check out the link to John Carpenter’s The Thing limited edition Christmas ornament brought up in the podcast.